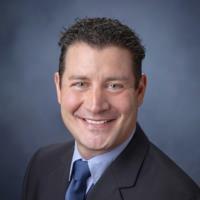 Directory > Chiropractor > IL > Naperville > CHRISTOPHER LAYTON, D.C.
CHRISTOPHER LAYTON, D.C. practices as a Chiropractor in NAPERVILLE, IL. Services CHRISTOPHER LAYTON, D.C. practices at 1315 Macom Dr Suite 205, NAPERVILLE, IL 60564. Chiropractors diagnose and treat common spinal misalignments that can occur from lifestyle or injuries causing pain, discomfort and degenerative conditions. CHRISTOPHER LAYTON, D.C. may be able to treat; back pain, sciatica, neck pain, shoulder pain, headaches, sports injuries, and auto accident injuries. To learn more, or to make an appointment with CHRISTOPHER LAYTON, D.C. in NAPERVILLE, IL, please call (630) 820-0800 for more information. I have inherited arthritic knees that are very painful. I started going to "Dr. Chris" and have seen amazing results. Ivan is the physical therapist who has brought me much needed relief. Dr. Chris also has a massage therapist I have heard many good things about, but I have not personally had the massages for my knees. His front desk girls, Juji and Kristine, are always super friendly and efficient. I have been a patient of Dr. Chris for over 11 years and have never felt better health wise. After having my daughter, I couldn't stand up straight and my lower was in constant pain. Dr. Chris put a plan into action and within weeks, I was able to stand up straight, with minimal pain. By learning why my body felt the way it did and knowing what I needed to do to repair what needed to be fixed and prevent future injuries. His passion and knowledge inspired me to make a career change and recreate myself as a Licensed Massage Therapist. He has true commitment and passion for his patients and that puts him ahead of the rest. My daughter has been a patient since she was and infant. With his pediatric chiropractic care, he prevented her from getting tubes in her ears and was able to diagnose her scoliosis at a very early stage. My family will be forever grateful for Dr. Chris. He has helped us through so many different stages of discomfort. Having Dr. Chris as our Chiropractor, gives true meaning to him always having our backs.